all have glasses # 2!!!!!. . 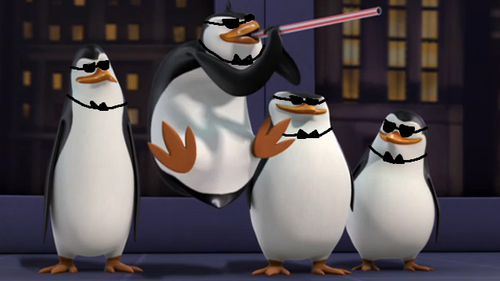 Wallpaper and background images in the पेंग्विन्स ऑफ मॅडगास्कर club tagged: penguins of madagascar penguin skipper kowalski rico private. Skipper, Kitka, and the "Almost Kiss"
How do आप lift an entire पेंगुइन into the air? Nice. 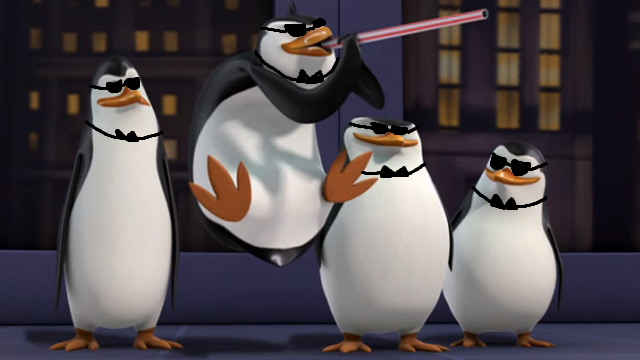 Yet again I have Bo idea what Rico's doing. What आप Talkin Bout, Skipp? !